The CoffeeShop Blog: CoffeeShop Golden Vintage PS/PSE Action! CoffeeShop Golden Vintage PS/PSE Action! 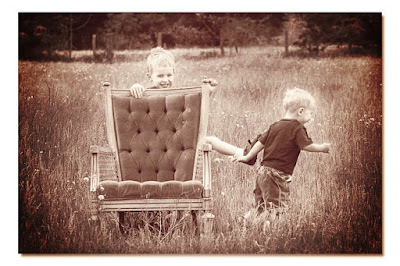 Here is my newest free Photoshop and Photoshop Elements action, CoffeeShop Golden Vintage. I was playing around trying to get a golden color effect that was slightly washed out and came up with this action. I personally love this enhancement and find it also looks beautiful on landscape and flower images. I will be writing this up as a tutorial and posting it later for those of you who have Photoshop Elements and want to see exactly what I did, step-by-step. 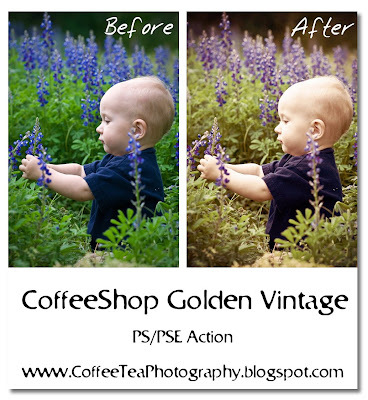 Download the CoffeeShop Golden Vintage PS/PSE Action HERE! Thank you! I am a big fan of your actions. So apprecite all you do and sharing your actions with us! You are the best! Your actions are my absolute favorites! I love the hot cocoa and the irish breakfast tea. You are very talented! I can't wait to try this one. Wondeful Rita! Off to tell the peas about it!! I have been wanting something like this! I love it! Thank you so much for this Freebie. I want to let you know that I posted a link to your blog in Creative Busy Hands Scrapbook Freebies Search List, under the Photoshop/Gimp Resource(s) (Brush(es), Swatch/Palette, ...) post on Apr. 21, 2009. Thanks again. Thanks for another great action. I love that you are so generous. Thank you so much! All those actions. I 'm in heaven! A big hug from The Netherlands. Awesome! I've tried another persons vintage gold action and have had trouble...! So happy to see you developed one!!! Thank you!!!!!!!!!!!!!!!!!!!!!!!!!!!!!!!!!!!!!!!!!! Love it Rita and thanks for everything!!! Rita, thanks for this new vintage action, i love it. I was wondering, however, is there a way to tone down the pink haze? Thank you! You are a blessing to us all! Thank you so much for sharing your talent and making my world easier! thank you so much for this download. It is beautiful. I tried it out on some pictures that I took today and they look stunning. If you have the time please come check them out. Here is the direct link to the page. I also used the Lomo download on some of the pictures toward the bottom. Thanks so much!!! I love your photo actions!! Great action - I just love your site! Thanks so much! thank you very much to share all that with us! thank you so much for this amazing actions! Just used this action for the first time & love it! Thank you! !